The current version of top level of football in Colombia has been running since 1948, with Independiente Santa Fe wining the first ever league title. 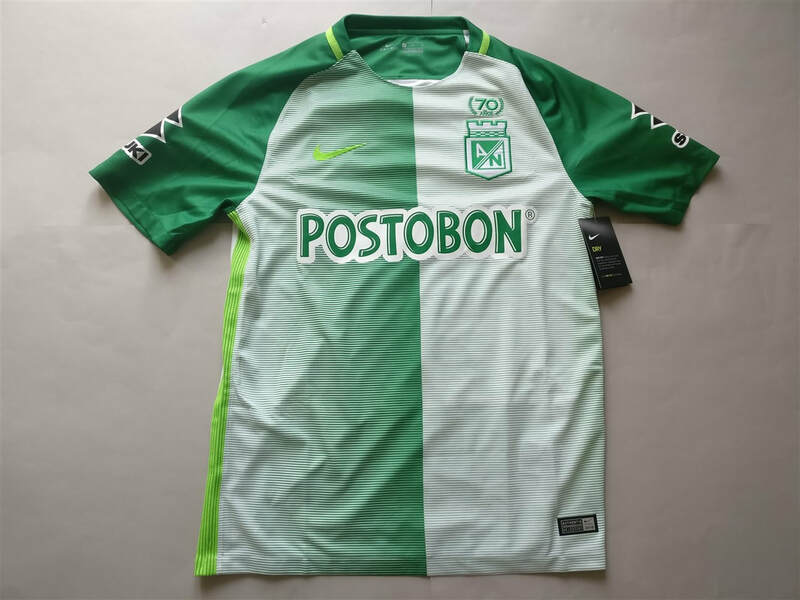 Club Atlético Nacional is the most successful team, having won 16 league titles. Two teams from Colombia have won the Copa Libertadores​. Finally I own a shirt from Colombia. There have been a few that have popped up to buy but they never seemed to have the sponsor on the front. Also some of them looked suspiciously fake. I am really happy to own this shirt and am able to tick another country of the list. My eyes are open for the next one. My three most recent Colombian shirts that I have added to my collection.